Family Business United is delighted to announce the family firms that are in contention for the Scottish Family Business of the Year Award 2019. 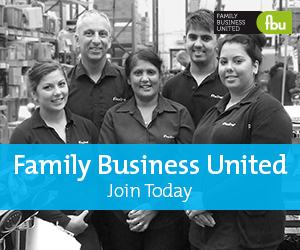 The deliberations are over and the team at Family Business United are delighted to announce the family firms shortlisted for the Scottish Family Business Of The Year 2019 Award. The winner will take over the title that was awarded to Zonal UK in 2018. Previous winners include Walkers Shortbread, Macsween of Edinburgh, Scottish Shutters and A Proctor Group. In due course the finalists for the sector awards will be announced which gives further opportunities for all the shortlisted firms to progress and take home a title nationally. As Paul Andrews, Founder and Managing Director of Family Business United, the award-winning magazine and resource centre for family firms in the UK explains, "We are delighted to be able to pull together such a vibrant bunch of family businesses, some that have succeeded for numerous generations and continue to thrive, and others that are relatively young but have great values at the heart of what they do. Not only are the shortlisted firms in with a shot at taking the Scottish title, they are also in the running to be crowned the Best of British as the Supreme Champion Family Business of the Year for 2019." Mike Kane, partner at Turcan Connell, sponsors of this award added, "Family firms are the backbone of the UK economy and cover all sectors of the business community too. Any one of those shortlisted would make worthy winners and ambassadors for the sector. We are looking forward to finding out more about each of them and I am sure that the decisions to determine the winner will not be easy as we seek to indentify another great ambassador to fly the flag for family businesses in Scotland."